Adelaide Strikers is one of the most successful franchise participant in the ongoing season of BBL. They played total ten group stage matches in the season of Big Bash league and managed seven victories here. So, they were placed on the 2nd position in the point table after finishing the group stage of 7th season of BBL. So, they were qualified for the semi final as one of the four teams and they were scheduled to play 2nd semi final against the 3rd placeholder team named Melbourne Renegades. And Adelaide Strikers made it to BBL final by defeating Melbourne renegades in the 2nd semi final. The competition was so hard between Renegades and Strikers and it was luck that Strikers laughed finally. In group stage this two semi finalists faced against each other once and there Strikers beat Renegades as well. Adelaide Strikers is an experienced semi finalist which played semi final twice times in BBL. On the other hand, Renegades also played semi final once. Both teams yet to win the title of Australian T20 league competition but the winner from the match which is Strikers has the maximum chance to win the title. Because in the first semi final, the most dangerous team Perth Scorchers was defeated against Hurricanes. So, Strikers will face Hurricanes in final and would probably beat them there. 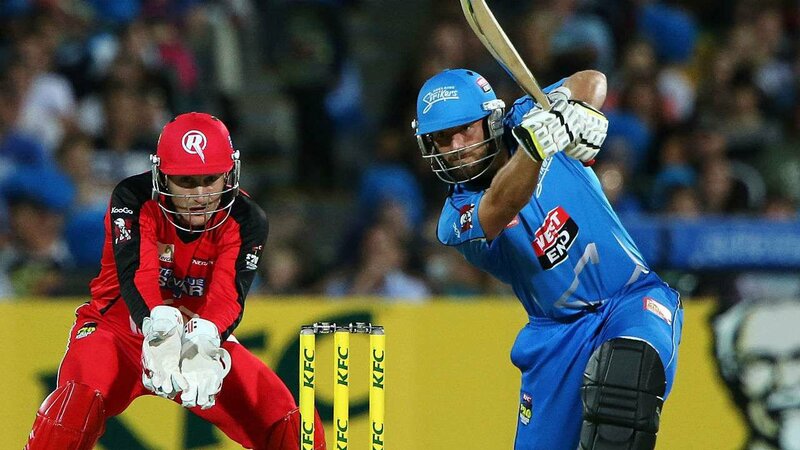 However, the 2nd semi final between Adelaide Strikers and Melbourne Renegades was hosted at Adelaide Oval, Adelaide in 2nd February, 2018. For the Strikers, Harry Nielsen made his T20 debut in the season of BBL through the match. Adelaide STrikers won the toss and changed the usual decision and elected to bat first. However, by came to bat Strikers scored 178 runs in exchange for five wickets where Travis Head scored 85 runs with remained unbeaten. He faced 57 balls there. By chasing 178 runs target, Melbourne Renegades went too close to the victory but just did not manage one more run. They scored 177 runs and finished 20 overs. They lost four wickets. Marcus Harris scored 45 runs highest for Renegades. So, Adelaide Strikers won by 1 run where the player of the match was Travis Head for his amazing innings. With Travis Head, one more player of Adelaide Strikers played well and seen a half century who was Weatherald. He scored 57 runs in 43 balls. Rest three players did not do their job well but wasted balls comparatively. On the other hand, five players scored good amount of runs for Renegades where Ludeman scored 28 runs, Cooper scored 36 runs, Bravo scored 26 runs and Pollard scored 29 runs respectively.